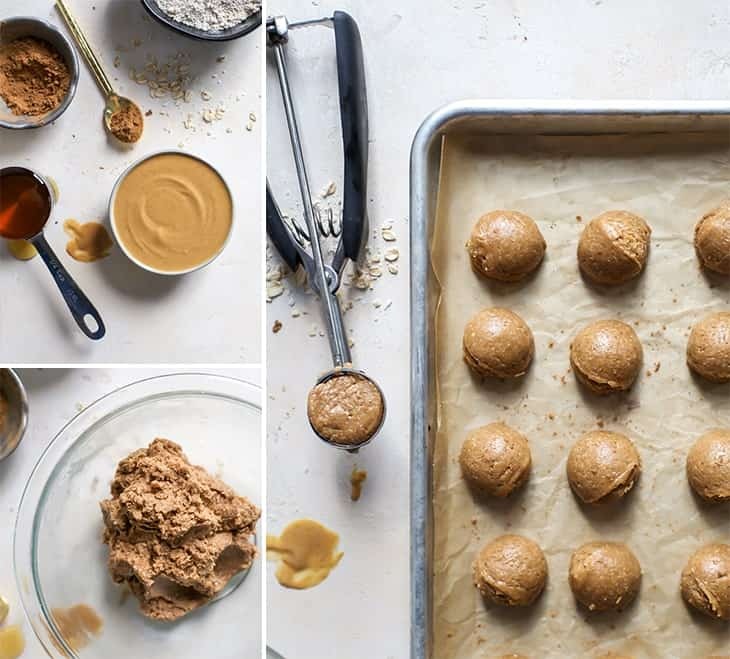 When you really just want to eat the peanut butter cookie dough by the bite… Make sure they’re just five ingredients and vegan friendly. 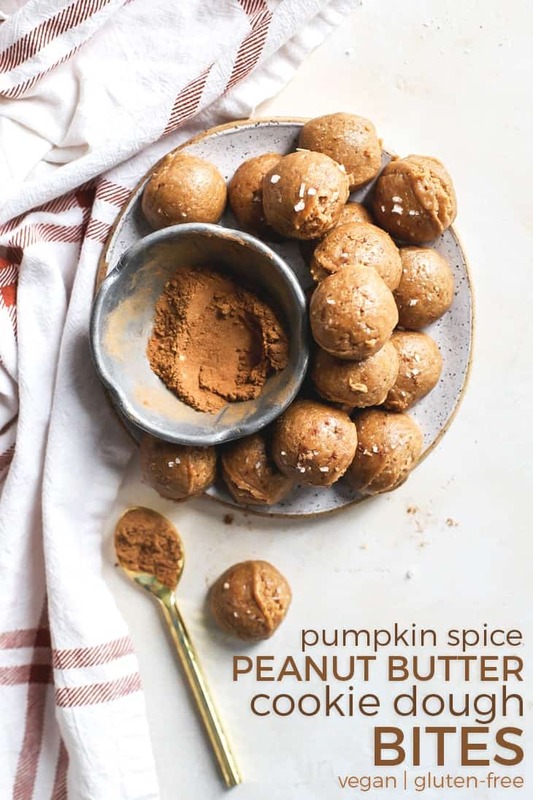 “This” being these cute little pumpkin spice peanut butter cookie dough bites. You didn’t know you needed them. I’m not one to shy away from eating raw cookie dough (with eggs and everything) but there are some that frown upon it. 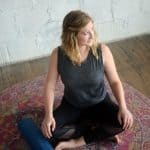 Thankfully I’ve never gotten sick *knocks on wood* but there may have been a time or two when I possibly ate just one too many raw cookie dough bites and my tummy did not like it. 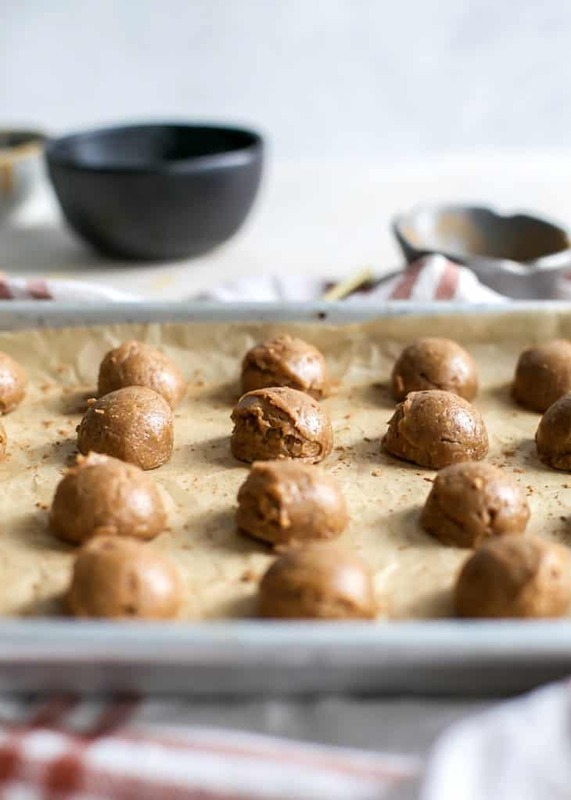 But if you’re looking for a fun new treat and completely acceptable way to enjoy cookie dough by the bite without fear of getting sick, these vegan and gluten-free peanut butter cookie dough bites are for you. Oh, and did I mention pumpkin spice is involved? Yeah, hashtag basic b word, if ya know what I mean. But guys, they’re so good. I’ve been on the Pumpkin Pie Perfect Bar kick lately and I figured I’d need something to replace my craving when they sell out of their seasonal batch. I came up with these little guys as a result and I must say I find them to be pretty darn satisfying. 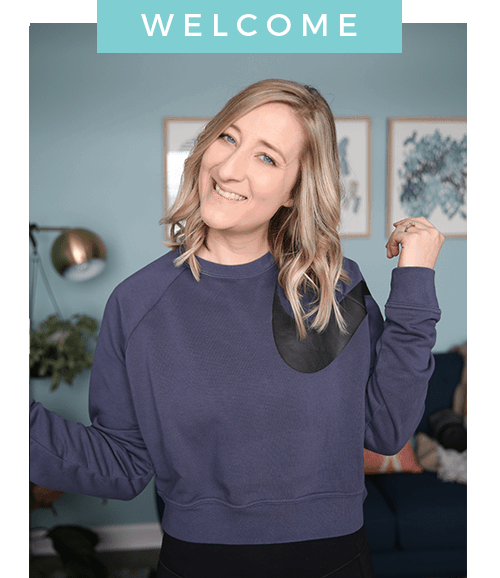 They aren’t loaded with superfoods like my muse is, but they are ridiculously easy to make and require very few ingredients – a double win in my book (and hopefully yours too). Are you seeing what I’m seeing here? Well, unless you’re making your own pumpkin pie spice then it’s a few more spices but you know what I mean. And sooo easy too. All of the ingredients go into one bowl and are mixed by hand. You use a small cookie dough scoop and place the cookie dough bites on a lined parchment paper. Then you store them in the fridge or freezer to harden a bit. Can’t wait for you to try these guys! Don’t forget to comment and leave a review if you make this recipe! I always love hearing from you. 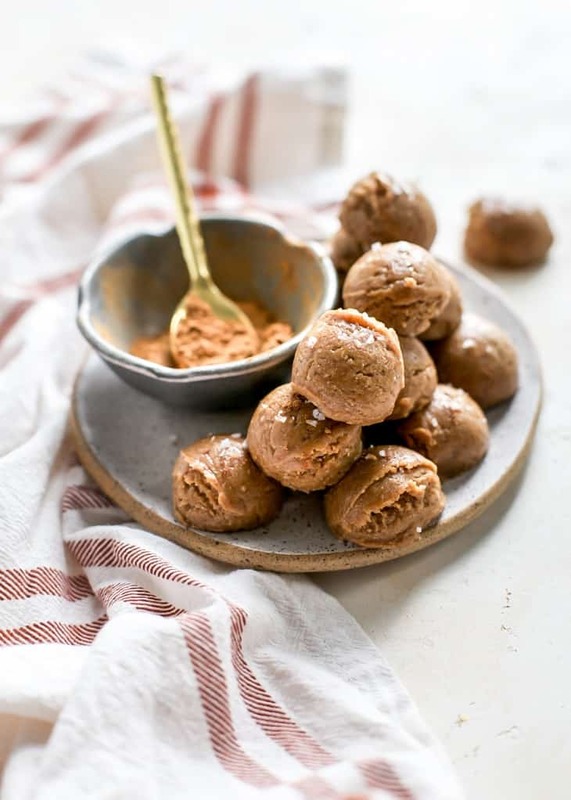 These Pumpkin Spice Peanut Butter Cookie Dough Bites are the perfect healthy treat – just five ingredients, no bake, vegan friendly and gluten free. You need these! Line medium cookie sheet with parchment paper; set aside. In medium bowl stir together peanut butter and honey until smooth. 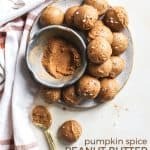 Add oat flour and pumpkin spice, stirring until just about combined, then add in coconut flour and work into dough until coconut flour is absorbed. Dough will be soft but still hold its shape. Using small cookie scoop, scoop dough flat into cookie scoop and dispense dough onto lined baking sheet. You should get about 20 cookie dough bites. Top with pinch of flaked sea salt and transfer to freezer to chill for 15 minutes to harden. 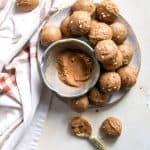 Pumpkin Spice Peanut Butter Cookie Dough Bites can be stored in freezer or fridge for a softer (but still slightly firm) texture. To make oat flour: process rolled oats or quick oats in food processor or NutriBullet until flour texture forms. Save any extra in container with lid. 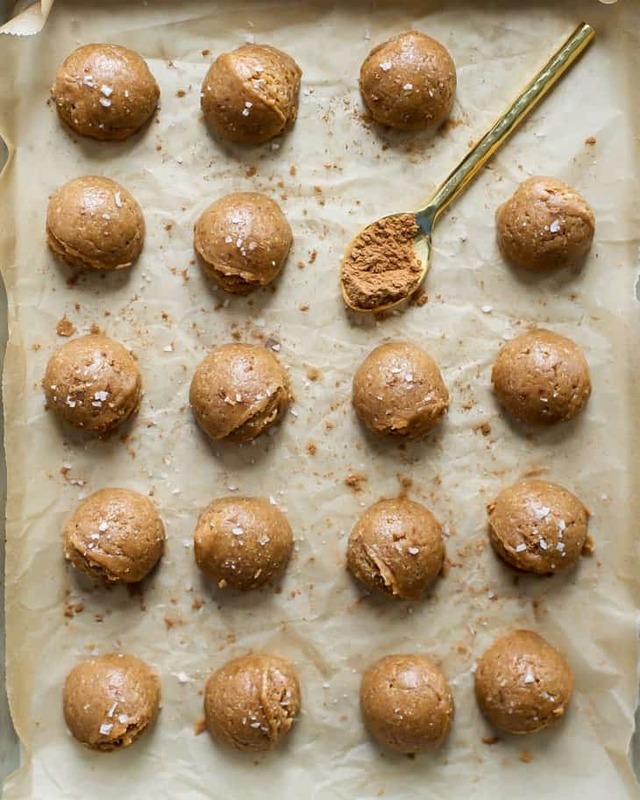 The coconut flour helps to absorb some of the moisture and create a firmer cookie dough ball. I have not tested these omitting the coconut flour. Do you have an approximate calorie count for one of the balls? Wow, it’s been quite a LOOOOOOONG time since I’ve enjoyed peanut butter. I genuinely miss it. The last time I had peanut butter was on top of an Oreo and it was the Skippy’s creamy kind. Definitely does NOT have the same ring to it as a natural crunchy peanut butter like Laura Scudder’s or those of Trader Joe’s! That being said, I will definitely have to get my hands on a peanut butter jar and make some peanut butter cookie dough! It would be seriously dangerous for me to make this recipe with maple syrup or brown rice syrup because I’d eat the whole batch! Could you use maple syrup instead?? I didn’t test that version myself but because the quantity is on the smaller side, that should be fine! if the mixture seems dry, add a very tiny splash of non-dairy milk or water.